The golden grasslands shimmering in the sun, the myriad of animals both big and small, the vibrant people, and the unbelievable night sky with stars that stretch horizon to horizon--A trip to Botswana will undoubtedly be one of the high points in your life. Many people return again and again and we know quite a few who have never left. When Peter first went to Botswana he also thought he'd never leave. There are several ways to see Botswana and beyond. These are by staying in lodges, going mobile, by boat, self drive, or a combination there of. It is a matter of taste, budget, and just how adventurous you are. Lodges range from the quaint to the unbelievable. However, all take advantage of the beautiful Botswana weather. The dining areas are open and airy, the accommodations, spread out along pathways. Many "rooms" are actually large "Meru" tents. But these tents have electricity and are furnished with king-sized beds, teak armchairs, and luxurious bathrooms. Many also have interesting private outdoor showers. Wake up to elephants parading by, spend the day relaxing and watching giraffe and antelope graze, fall asleep to the distant roar of a lion. We work with the smaller, quality lodge operators who have several concessions so you can visit both the "wet" and "dry" camps that are situated around the Okavango Delta and Moremi Game Reserve. We also work with operators in the Makgadikgadi Pans and Chobe. All our lodge-based safaris are customized so please e-mail us for more information and rates. We are the only American booking agent for Nanzhila Plains Safari Camp. Debbie Peake, a friend of ours, has just opened this brand new lodge in the southern Kafue National Park in Zambia. This area has not had a lodge for the past twenty years. Debbie also operates Mochaba, which specializes in taxidermy, shipping trophies, and other safari services in Maun. And she was recently aptly honored as Safari Club International's Conservationist of the Year. 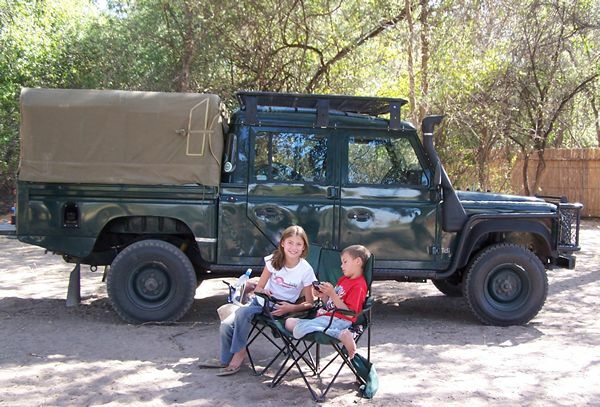 Mobile safaris are just that--camping on the move. 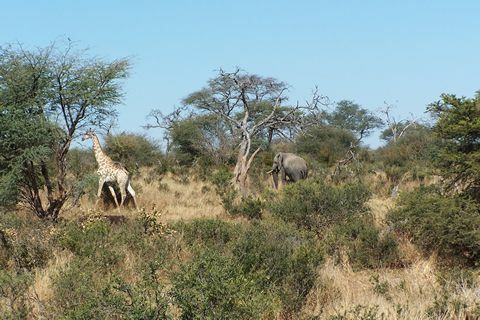 While you're enjoying game drives and other activities, your camp is taken down, packed and relocated. We work almost exclusively with an operator who is recognized within the business as one of the best. The food is excellent, and they are one of the few that provide small en-suite toilets at the back of the tents. Plus there are hot showers, cots with mattresses and sheets, and you don't have to lift a finger--all taking you to the remotest wilds of Africa. 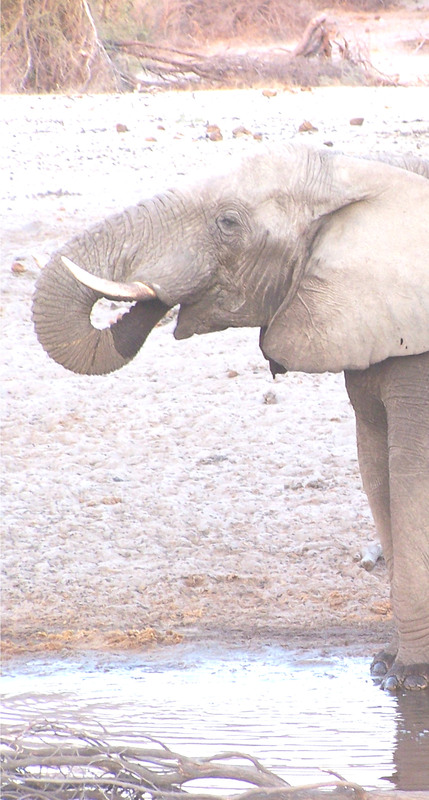 We have several basic itineraries which get you to the best locals in Botswana and beyond. Self-driving is not a common way for Americans to see Botswana, but it is the usual method for vacationing South Africans, knowing this is the most economical mode of vacation. It requires a certain type of person, someone who is adventurous, resourceful, and knows some bushcraft. We would not recommend this for everybody! Typically a 4x4 pickup truck with a full kit of camping equipment is picked up in Johannesburg, South Africa or Windhoek, Namibia, and driven to Botswana from there. Once in Botswana, it's a matter of knowing where to go, how to get there, how to book lodgings in advance, and acquiring supplies. African Excursions can be of great help with this way of travel since we've done it ourselves. We have traveled through most of Botswana, into South Africa, Namibia, and to Mozambique. If you're interested in self-driving, please e-mail us. We have several basic itineraries mapped out and can provide bookings and an informational package to get you through. Rates for Photographic Safaris in Botswana begin at $325 per person per day. 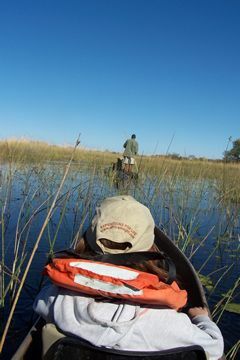 See our descriptions of lodge-based, mobile , and boating safaris for more information.